This past weekend Aaron and I escaped on a little road trip to Oklahoma City. We love road trippin' all over the US, as evidenced by our last two spring break trips to the Southeast and Southwest. We took a day off (which we NEVER do), drove down Friday morning, and spent the weekend exploring Bricktown, relaxing in some free hotel rooms, and celebrating love with the happy couple! I must be getting old, since I was legitimately sore from breaking it down on the dance floor all night with the fam. Side note: We also had the most wonderful Mexican food at Ted's Cafe' Escondido. If you're ever in Oklahoma, Lee's Summit, or Overland Park I'd highly recommend it. I'm also THRILLED that there's one coming to us in KC very soon! Tomorrow will be exactly THREE YEARS from the date that Aaron proposed. What? How does time go so quickly? I remember that day: full of bridesmaid dress shopping for my best friends' wedding, only to find out that I was getting engaged later that evening and they had known all day (and week). Oh boy do I love surprises, and this one was the best- not to mention the most beautiful ring that my now hubby somehow purchased while he was still in college and without a job. I should also add that Bo Lings is a pretty special place for us; we've only gone there together twice: our first date and the night of our engagement. Chinese for the win. 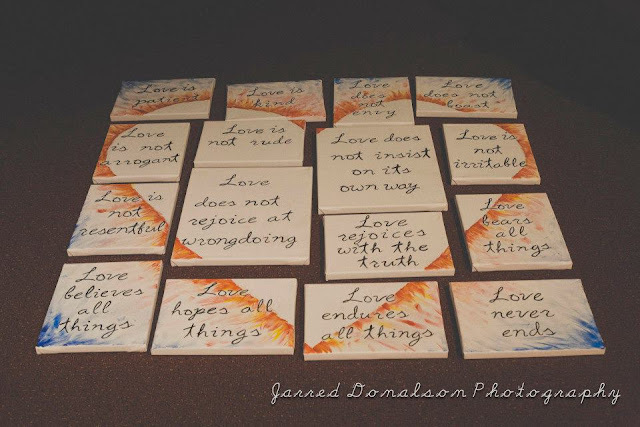 If you haven't checked out the story of our proposal, it's beautiful and worth reading! If you haven't heard yet, my wonderful husband turned 25 on Tuesday. Not only was it a ton of fun planning lots of surprises for him, but I knew that my words of affirmation guy would absolutely love the video that our friends and family secretly contributed to for him. I also had a great time writing him this letter in celebration. Here's the video if you want to take a peek (it's kind of long but he seriously loved every second). A Mexican dinner was the perfect end to a perfect day. My Gifted Communication Arts kiddos are in charge of the food drive at school every year. We get donations and sponsorship from the community, then settle in for a week of boxes, cans, raffle prizes, and giving back to others. The drive ends today, but I was totally blown away earlier this week by the generosity of one sweet student: a preschooler at our learning center who told his mom through his tears that he wanted to donate his entire piggy bank to the cause because "Other people don't have food." What a sweetie with a thankful heart we can all learn from. 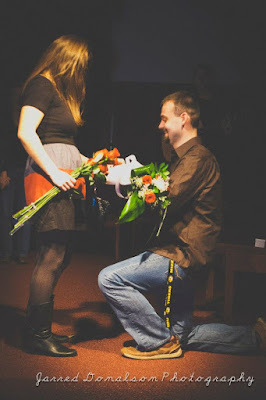 One more proposal picture: a reminder of how we can love others well this holiday season and every day. With the craziness of this week (balancing school, the food drive, YoungLife, and more) I'm looking forward to a slow week next week. We've only got two days of school, followed by a five day weekend and a chance to spend time with loved ones. Lately, I've been constantly reminded of the importance to slow down and be thankful for all the blessings I've been given. I've been choosing to rest and invest more in what really matters, and I'm excited to share more about that next week. I hope you all have a wonderful weekend full of celebrations, laughter, and sweet moments with those you love most. what a wonderful happy post! Congrats on your 3 year engagement anniversary. We also "celebrate" the day he proposed! Awww love that you have a photo of him proposing!! Ha, isn't it precious? He was telling me the other night how much he loved that photo. Happy belated birthday to your hubs, and happy engage-iversary! Have a great weekend! Thank you, Morgan! Hope you have a wonderful Thanksgiving! Sounds like it was an awesome week! I love weeks like that!! Love Bricktown, my son played college ball and we went twice for big Xii tourneys. Road trips are the best. How fun is that! We love road trips for sure. Thanks for reading! Ah, happy birthday to your husband, and happy engagement anniversary! 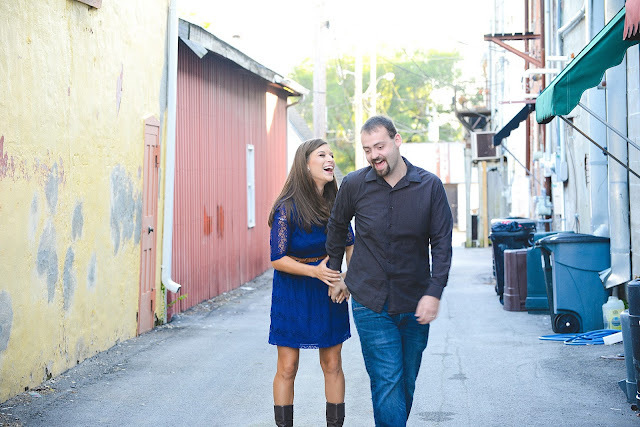 Such a fun week for y'all :) Happy birthday to your hubs and happy engagement anniversary to you guys! We are so excited for Thanksgiving break too. It's just so nice to have that long weekend before the final push into Christmas break! We can do it! Such a cute and uplifting post! Congratulations on your engagement and happy birthday to your hubby! You sure had a lot to celebrate this week! I believe in celebrating everything so I'm glad you did it up for every occasion and milestone. Definitely, Allison. Thanks so much for stopping by! It's the simple things that really make life worthwhile. Loved your post and happy anniversary Kelsie! I too ejoyed Bricktown and I really enjoyed reading about how the Lord brought you and your husband together in another post you had written. So very true, Crystal. Thanks so much for your kind words and for reading! I love how you list five things. Your list is full of emotion. What a great place to write it all down and remember each emotion. Thanks for linking through Me, Coffee, and Jesus. Thank you Fred! I am excited to have it all here to look back on someday!